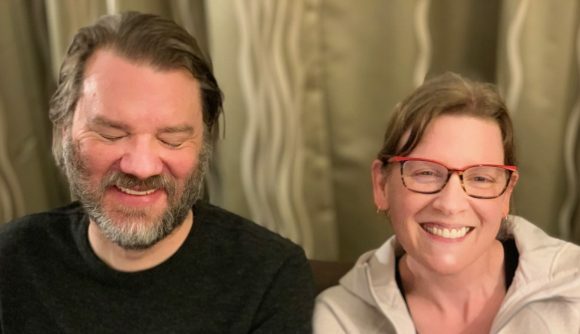 Chet Faliszek and Dr Kimberly Voll have set up a new studio named Stray Bombay, which will focus on making co-op games. The pair are veteran game developers; in his 12 years at Valve Faliszek helped write both Portal games, both Half-Life episodes, and both Left 4 Deads, while Voll has been principal technical designer at League of Legends studio Riot since January 2016, and has a background straddling human-centric game design, cognitive science, and artificial intelligence. Last we heard, Faliszek had left Valve for Bossa Studios, where he was directing a co-op action game that would use AI to “push the boundaries of emergent narratives.” His joint announcement with Voll today doesn’t mention Bossa or his game there, but it sounds like his interests haven’t changed: in language reminiscent of Ken Levine’s mysterious new project, it sounds like he’s having another tilt at revolutionising game storytelling. Faliszek says Stray Bombay will use AI to drive “not just the enemies” but “the entire experience” of its games, which will “tell stories knowing you are going to come back again and again” and “change each time you play them without feeling completely random”.